Movida Outdoor Café Chair is designed for all-weather use making it a great option for indoor and outdoor settings. Browse our range of bases, tops, tables and timber tables online for both indoor and outdoor applications. Invite visitors to be comfortable and stay for good company and conversation. Decorate the Movida Outdoor Stool 750mm with cushions for added comfort. 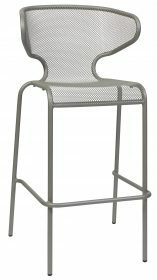 The stool is equally at home outdoors or in! 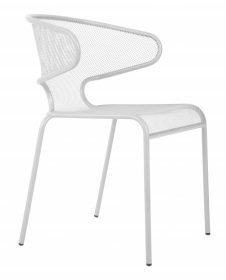 Lingotto Outdoor Café Chair will enhance your commercial or home outdoor space. This lightweight chair is easy to move and stack for storing. The frame is designed for all-weather use making it a great option for indoor and outdoor settings. Lingotto Outdoor Stool 750mm are designed tough, durable and built to last. They are spill proof and their smooth surfaces easily cleaned. Group them around a high table or string them out along a bar. They’re equally at home outdoors or in!